A blast from the past! Sgt. 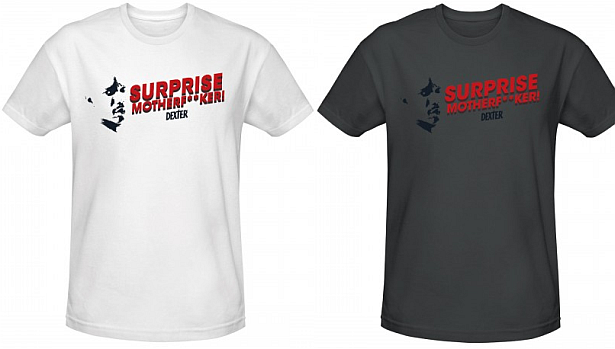 Doakes returns from the grave with his trademark line, and here it is on a t-shirt. A silhouette of Doakes' face and the Dexter logo complete the picture. Surprise your friends and loved ones with this classic shirt. Visit the SHO Store to purchase.